Musical biopic film “Bohemian Rhapsody” brings Queen to a new generation while still staying true to original fans. The film grossed over $500 million worldwide since its Nov. 2 release date, with international sales grossing over $375 million, and it is now the highest grossing musical biopic film ever made, topping the 2015 film “Straight Outta Compton,” which grossed $201.6 million. Emmy and Golden Globe award-winning actor Rami Malek’s performance as Freddie Mercury was surely Oscar worthy, from his accent to his body movement on stage. 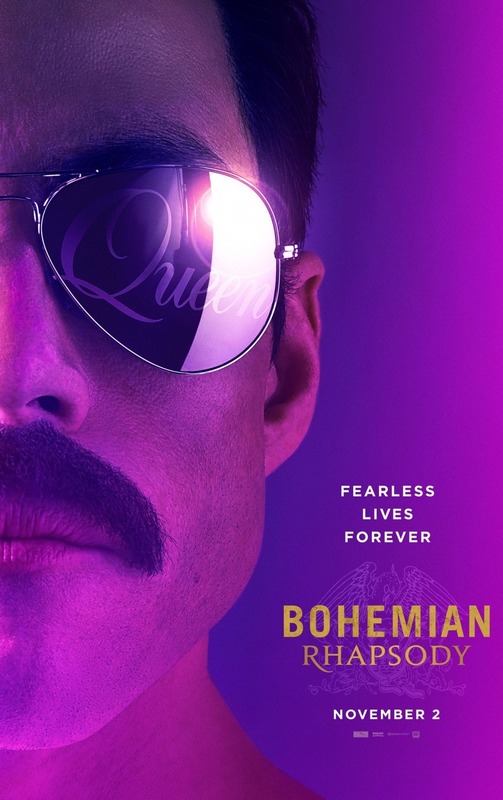 Although Malek wasn’t the first pick for the role, which was supposed to go to Sacha Baron Cohen, he became Freddie through studying Queen and Mercury’s mannerisms. He understood Mercury’s character on a deep level which translated physically through the execution of his performance. In an interview on the Graham Norton Show, Malek said he had teeth made for the part to get Mercury’s overbite and kept them in as long as possible on and off set so he could become Mercury. Malek took over a year to study the role, which involved working with a movement coach to capture Mercury’s essence correctly — from the way Mercury looked at other people, to his stage presence and how he behaved behind closed doors. In an interview with The Feed, Malek said he took piano and singing lessons for the part. “One thing I did for this film is I wrote out all his lyrics, songs written by Freddie Mercury and you hear things like ‘I get ever so lonely’ and ‘find me somebody to love.’ It’s just speaking down from his gut and his soul,” Malek said. Although Malek’s performance stole the show, other characters were certainly glazed over. The character of John Deacon (played by Joseph Mazzello), the band’s bass guitarist, rarely spoke and wasn’t really developed. Brian May (played by Gwilym Lee), and Roger Taylor (played by Ben Hardy), both had personality, but the audience didn’t get as intimate as they did with Mercury’s character. Some parts of the film completely rushed over the real narrative. The biopic was about Queen over a 15-year period, the formation of the band and its 1985 Live Aid performance, but the movie also concentrated heavily on Mercury’s character. This isn’t necessarily a negative thing though, since the audience gets to see how the band created its music. The movie shows how the band wanted to include the audience in its performances. Queen concentrated on making everyone feel comfortable in their own skin. Some of the most intimate moments in the film are when Queen makes music. May, the lead guitarist, created the beat to “We Will Rock You,” which was made to involve the audience in its performance, and Mercury made the lyrics for the song. At some point in the film, Mercury lost himself in parties, drugs and relationships. Since the band members became a family, they weren’t afraid to call Mercury out on being late, not being responsible, getting drunk and doing drugs. Mercury was persuaded to become a solo artist by Paul Prenter’s character, played by Allen Leech. This caused an enormous fall out within the band; however, Queen came back together after realizing how much they all needed one another. May and Taylor were extremely involved in the making of the biopic. Despite the discrepancies in the timeline of events, you know you can trust the authenticity of the characters. The film replicated certain events, music videos and concerts that made Queen legendary, such as the music video for “I Want to Break Free,” which showed the band in drag, and one of its most popular performances — the 20-minute Live Aid concert. Live Aid was a 16-hour benefit “super-concert” in 1985 at Wembley Stadium in London that was televised in 110 nations and had a billion viewers, with the goal of ending the famine in Africa. The concert raised $127 million. The line-up encompassed some of the best musicians of all time, including performances from Phil Collins, Madonna, U2, Michael Jackson, Bob Dylan, Bruce Springsteen, Stevie Wonder, Elton John, Paul McCartney and Run DMC. The Live Aid performance was the first shot taken of the film, done in one take. Malek’s, May’s and Mazzellos’ Live Aid performance captured Mercury and the rest of the original band’s performance, including facial movements and quirks, to a T. In a side-by-side showing of the original Live Aid concert and the remake, you notice how precise the cast is. Not a detail was overlooked and the entire Live Aid performance was screened as part of the film.